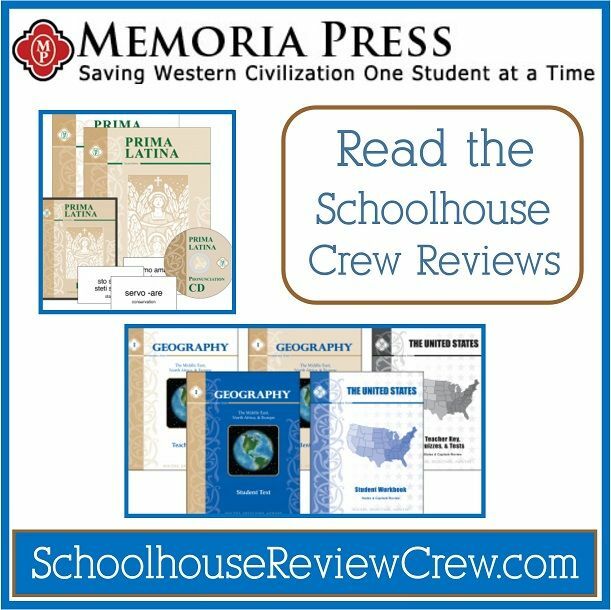 Memoria Press has been “Saving Western Civilization One Student At a Time” since 1994. Offering homeschooled students top-quality classical materials in all subjects, Memoria Press has become a staple in homeschool schoolrooms everywhere. For this review, Memoria Press offered the Review Crew two products from which to choose: Prima Latina and Geography I. Intended as a lead-in course for Latina Christiana, Prima Latina includes nine hours of instruction, four hymns from Lingua Angelica, and 25 lessons with five vocabulary words per lesson. Every five lessons, students take a test to ensure both mastery and retention of the material learned. This curriculum covers the Middle East, North Africa, and Europe, or the territory that comprised the ancient Roman Empire. Each country in these regions is presented in two contexts: its present incarnation and its former, as it existed in ancient times. For each country, students read about the country’s ancient and modern histories and then complete a workbook page on which they note the country’s capital, its ancient name, some fun facts, and, finally, label relevant places on its map.The United States Review is intended to ensure that students retain what they learned previously with Memoria Press’ States and Capitals course. 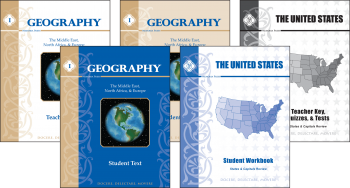 It is comprised of states and regions maps and captials quizzes and can be used in a variety of ways to supplement any geography curriculum. Memoria Press offers many more classical curriculum products, including grade core packages. The products the Crew reviewed, as well as all of their other products, can be viewed and purchased on their website. Click on the banner below to read the Crew reviews. A big thank you to Laura Delgado of My (re) Viewpoint for writing this introductory post.